Self-taught computer programmer and Iraqi refugee uses programming knowledge to aid survivors of genocide. ATLANTA, November 8, 2018	(Newswire.com) - After receiving hundreds of applications from across the United States, charter bus transportation platform charterUP has named Hazim Avdal as the winner of their annual National Scholarship for Immigrants and Refugees. Inspired by our own founder’s struggles as a refugee and an immigrant to the United States, this scholarship aims to provide opportunities to those who have faced similar obstacles in their lives. Born in Iraq, Hazim Avdal is a member of the Yazidi ethno-religious minority. In his hometown of Hardan, Avdal was raised in a family of farmers who had no access to washing machines, televisions, telephones, cell phones, computers, or the internet. It wasn’t until 2009 that Avdal used a computer for the first time, and by 2010, at age 16, he was teaching himself the Visual Basic 6 programming language and beginning to understand the basics of computer programming on his own. After excelling in scientific subjects throughout his years in school, Avdal was accepted to the University of Mosul, one of Iraq’s most prestigious universities. However, before he could begin his studies, in 2013, a genocide lead by al-Qaeda that targeted the Yazidi minority threatened his hometown. His family narrowly escaped an attack and fled to Turkey, and Avdal believed his dream of attending university had been destroyed. Wanting to help the victims of the attack, Avdal eventually returned to Iraq to volunteer with Yazda, an organization that helps with aid, advocacy, and relief for Yazidi victims of genocide. Realizing that his computer skills could be put to work to provide more aid, Avdal developed software to help provide services to female survivors of sexual and physical assault as a result of the genocidal campaign against the Yazidi. Later, Avdal created a database to help doctors in Yazda’s primary health center to record patients’ medical history, generate health reports, and track prescription medications for nearly 15,000 refugees. It is believed that this is the first system of its kind to be implemented in a refugee camp in Iraq. Avdal’s efforts played a major role in helping thousands of refugees, inspiring him to continue his studies in the field of computer science to make an even bigger difference to those in need around the world. His efforts caught the attention of Amal Clooney, an international human-rights lawyer, and wife of actor George Clooney, who encouraged him to attend the University of Chicago to further his education. Avdal’s influence also earned him a spot on David Letterman’s "My Next Guest Needs No Introduction" on Netflix. charterUP is proud to provide their support to Avdal, both in his current academic career and in his future efforts as a humanitarian. We look forward to seeing where his efforts take him in his computer science career and, eventually, how they help to provide aid and relief to survivors of genocide across the globe. 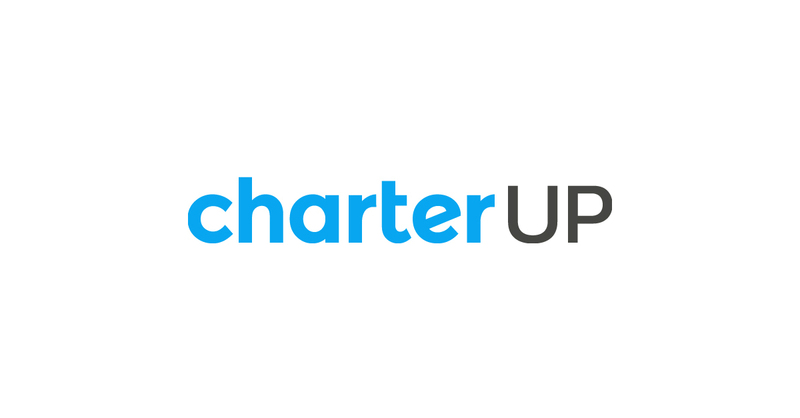 charterUP is a charter bus reservation platform that connects passengers to the best motorcoach providers in the country. Services extend across the nation, from Atlanta to Los Angeles to New York and everywhere in between. To learn more about how you can book your own bus, call our 24-hour team at 1-866-315-8261. CharterUP Brings Faster Bus Rental Services to Washington D.C.